It is our mission to offer you products with LOVE, making it available for everyone’s enjoyment. All our products are made on our own premises and the same recipes we used when we started are still used today. We now sell a variety of imported Dutch items. 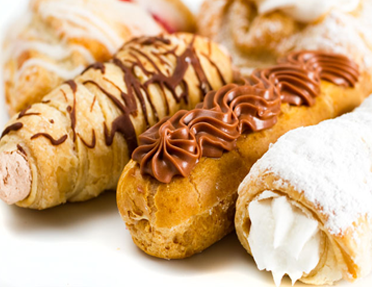 We also produce a wide variety of breads, confectionery, pies and sausage rolls. We make delicious birthday cakes, wedding cakes, either in vanilla sponge, chocolate sponge or fruit cake. We can use either vanilla or chocolate butter creme, fresh creme, custard or chipolata filling to fill the cake. Trimmings as depicted in sample pictures. Unfortunately we do not do shapes or number cakes. Come join us on our Market days!!! There will be plenty SWEETS, TREATS & de-li-cious EATS for everyone of all ages! We will keep you informed of the next Market Day. Our well known and loved products come to you, impeccably arranged and ready to serve. Our elegant festive trays add style and taste to any event and are prepared with the utmost attention to detail. We would love to create a custom spread / cake / delicacy etc...Just for your specific needs! 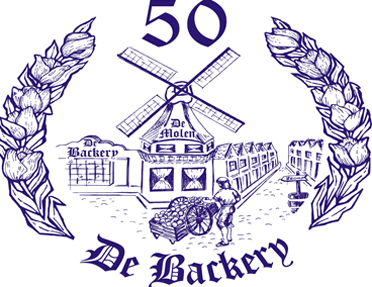 De Backery's products are hand-made with only the finest ingredients and natural starters. 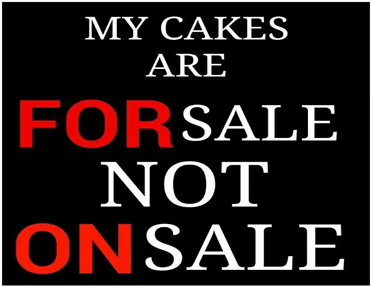 No added preservatives will be found in any of the things we bake. We practise the same "old" methods used by Willem and Thea Verhoogt since 1963 to make the very best breads, confectionary and catering platers. Because so many celebrations are associated with baked goods (cakes for birthdays, pies for Thanksgiving, Bûche de Noël for Christmas, and so on), baked goods have come to seem celebratory in themselves. You don’t need a holiday to justify buying an amazing cake or inviting a few friends over to eat it, and OUR cake is the holiday on it OWN! "I have ordered many cakes and treats from De Backery and their cakes are by far the BEST in and around Edenvale by far! Always fresh, moist and super tasty...One can just taste the love that goes into making it!"